Keystone Environmental is using side-scan sonar during pre-dredging monitoring surveys to detect white sturgeon (Acipenser transmontanus) and minimize risks to this important at-risk species. The Fraser River negatively impacts numerous shipping channels, harbours, marinas and waterfront communities by infilling these waterways through deposition of materials over time, making regular dredging critical to maintain safe navigation depths. Infilling occurs when suspended sediments settle out in areas of slow water movement, which may also act as potential habitat for white sturgeon, the largest and longest-lived freshwater fish species in North America. The lower Fraser River white sturgeon population is currently listed as threatened under COSEWIC (Committee on the Status of Endangered Wildlife in Canada). Side-scan sonar is the best available method for detecting white sturgeon over half a metre in length within silty waters such as the Fraser River without the need to handle them. 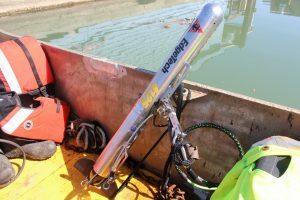 High resolution side-scan sonar surveys involve pulling a torpedo-shaped transducer (the towfish) behind a boat that sends out of pulses of sound and records its return. The surveys include making several passes throughout planned areas during varying periods of the tidal cycle. Each pass can survey a specific width (typically 25m on either side of the boat) of area depending on depth and other factors. Software interprets the returning pulses of sound and provides a real-time display of the river bottom and any sturgeon or other objects near the sediment or within the water column. At the same-time a GPS provides an accurate location of the image and any fish. The surveys are repeated as required based on the season, number of fish observed and planned in-water work activities. Using this method, sturgeon presence and behaviour prior to and during dredging works can be estimated allowing for timely mitigation measures to be developed to minimize impacts of dredging activities. Regulators are seeking to increase the understanding and awareness of dredging impacts on fish habitat within the Fraser River and it is expected that monitoring for sturgeon presence will become a more common condition of regulatory approvals that must be in place before dredging can occur. 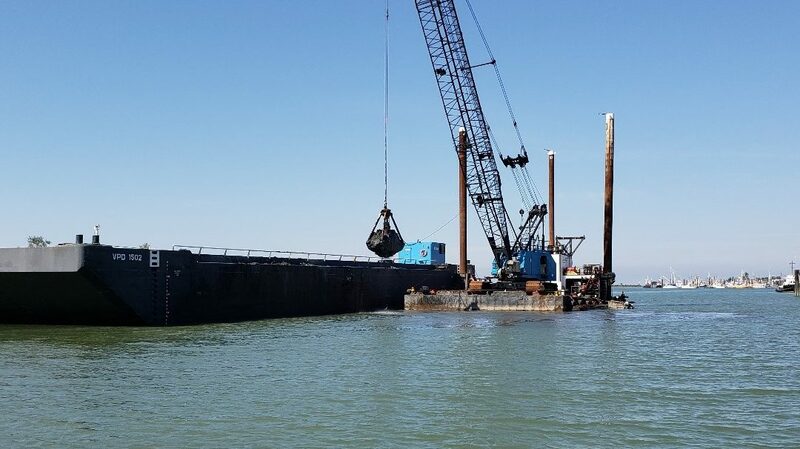 Keystone Environmental recently secured environmental permits and developed an environmental management plan in support of maintenance dredging for the Vancouver Fraser Port Authority and the City of Richmond. 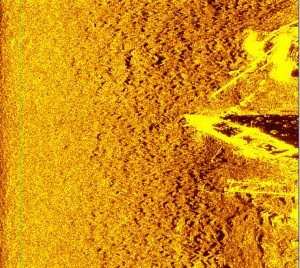 We are currently using side-scan sonar to monitor for fish presence within the Fraser River and its side channels in support of the VFPA’s upcoming dredging works.